Secret-défense, faut que je tienne ma langue sans la tienne qui se délie. Up until now, only a select group of people have had the chance to nibble at a few of Maud Lübeck's songs during her shy appearances on the web, or during one of her moving and fragile stage performances where she is alone with her piano and the whole audience holds their breath…Maud writes luminous melodies with an ease bordering on insolence, and performs her songs with a delicate modesty that sets the senses afloat. We connect with her miniature compositions as if we already knew them, the reason being that Maud Lubeck doesn't just adopt generalist popular music codes, she embraces the spirit. She grabs a tune out of thin air to work with, and serves it up as if it were a part of ourselves. So it isn't a surprise if her songs become such an obvious addition inside our minds, precious nuggets freed from our collective imaginings. Listening to Maud Lubeck, it's impossible to not bring to mind just a few of France's grand formative figures : Barbara or Françoise Hardy first but also Dominique A. Her music is robustly popular, not nostalgic, and therefore modern. Her short and accurate lyrics reach our hearts because they refuse all superfluous poetry and annoying complications, nor do they ever get in the way of the melodies. Music and words are not separate entities but fuse harmoniously during a few short moments that allows them to escape analysis. Pointed arrangements bring a cinematic depth to the whole, breaking with the serious nature that too often accompanies French songwriting. At the crossroads of light Brit-pop (Regina Spektor, Suzanne Vega, Peter Von Poehl, Mark Hollis...) and of a classic French rehabilitation, Maud Lübeck really has no serious competition, on stage today. 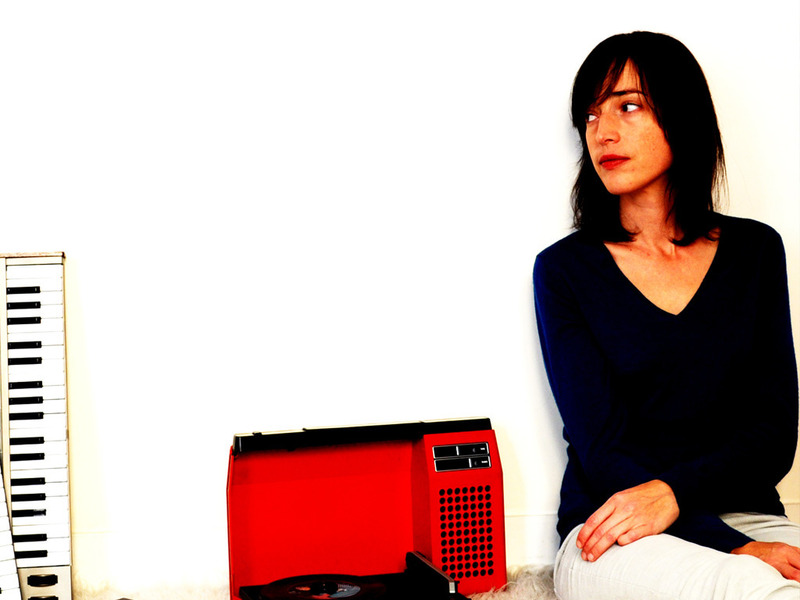 To listen to Maud Lübeck's first album, there's no need for biographical details. She's only just arrived in Paris with her instruments from her southeastern birthplace a few years back, with her self-taught technique, self-composed songs, and with a few helpful exceptions (Exsonvaldes's musicians, backup vocals by Anything Maria, and Oshen, Alexandre Firla's sound engineer), she played and recorded each sound on her first album. Very discreet (too much so? ), Maud is just as at ease in the sacred shrines of a Parisian music hall as she is in the fashionable bars of the capital. Brandishing no specific time period or particular style, her music speaks to every fan of universal melodies and delicately crafted lyrics. Talking about Maud’s songs is as useless as trying to dance on architecture, it would be best just to go out and listen to some, straight away.